Below you can view all the homes for sale in the Oak Hills At Summerlin subdivision located in Las Vegas Nevada. Listings in Oak Hills At Summerlin are updated daily from data we receive from the Las Vegas multiple listing service. To learn more about any of these homes or to receive custom notifications when a new property is listed for sale in Oak Hills At Summerlin, give us a call at 702-930-8014. Rm & A Sep. Fam Rm With Cozy Fireplace*kit W/Granite Counters, Tile Backslash & Eat In Nook*tile Floors Down Except Br*br & 3/4 Bath Down*upstairs You Will Find Master With On Suite Bath With Double Sinks And Sep. Tub And Shower With Tile Surround*view The City Lights Off The Master Balcony*there Are 2 Secondary Bedrooms And A Full Bath*fully Landscaped Front And Rear Yards. Sid/Lid Paid Off MLS#2076497. Coldwell Banker Premier. Total Cream Puff Summerlin 1 Story Home*model Like*over 1,600 Sq Ft*3bed*2ba*2car Garage*upgraded Kitchen*granite Counter Tops*stainless Steel Appliances*garden Window*family Room W/Fireplace* *larger Masterbed*w/Private Bath*larger Secondary Rooms*ceiling Fans*cover Patio*close To Shopping, Dining, Parks, Schools & More* Home Is Move In Ready! 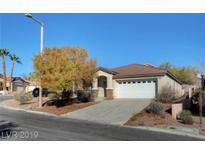 MLS#2068248. Keller Williams Market Place.